It’s one thing to be asked, “Why is the sky blue?” and “Why can’t I smell purple?” and another to question our reasons and authority. Admit it: if you’ve ever been the victim of a toddler’s (or teenager’s) assault of the “Why’s,” at some point, you employee the ignore-the-question-and-hope-they-will-stop strategy. But we’re not that different from three-year-old’s and teenagers. Questioning God and asking Him “Why?” is something we’ve all done. Thankfully, God is more patient than we are. He doesn’t mind when we ask Him questions. He often gives us answers. But just as parents don’t like their authority questioned, neither does our Heavenly Father. 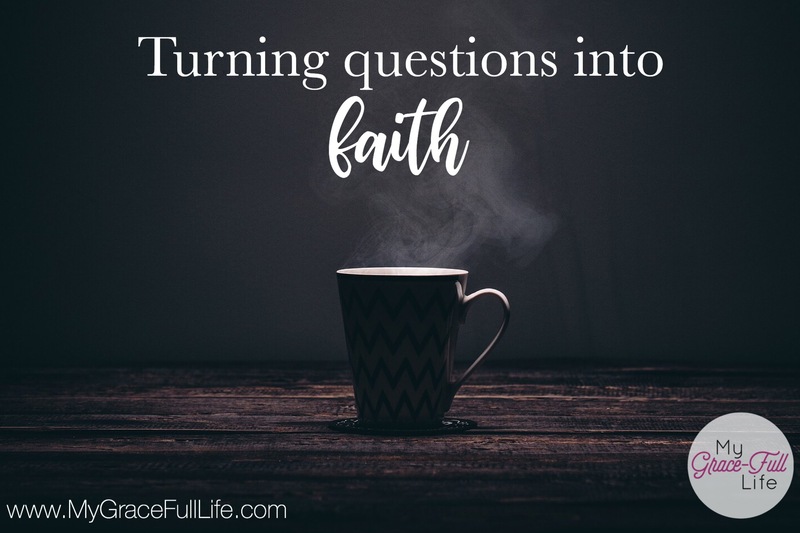 Just as we expect our children to trust us and obey when we give an answer, there’s a time at which we have to stop grilling God with questions about His reasons and step forward in faith in Him. Even when we don’t understand. We don’t think as God does, so there are some things we won’t understand. As mentioned earlier, God can handle our questions. Eventually, faith must be embraced. It’s the root of our walk with Jesus. Today, as you pray, thank God that He’s willing to answer questions. But ask Him to help you put aside the ones that question His authority and accept His word in faith.